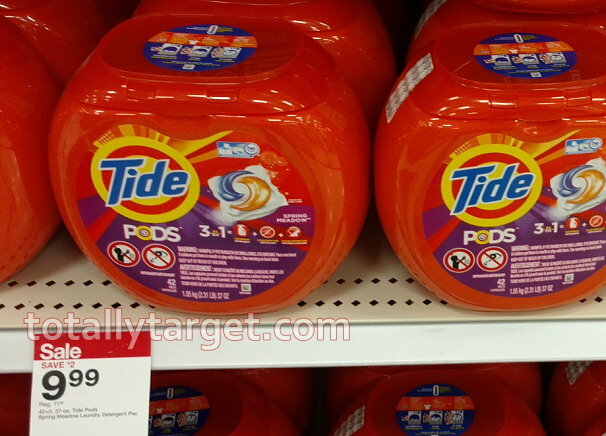 And – if you have not redeemed it yet- there is also still a higher-value $3/1 Tide Pods or Gain Flings 32 ct+ Manufacturer’s Coupon available on the Cartwheel app x7/1 (one-time use). I was at Walmart last night and they have 12ct to 16ct Tide Pods for $3.98 the coupon did not beep. So after coupon the pods are .12 cents each or $1.98 before tax for 16ct.